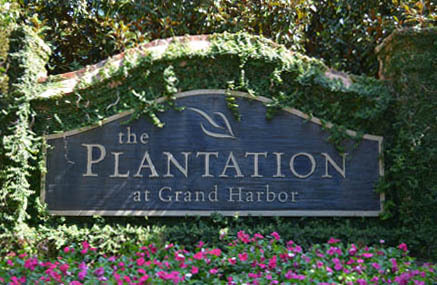 The Plantation is an equestrian based community, located 5 ½ minutes from Grand Harbor. This community features 94 large home sites. The Equestrian Center features an eight-stall stable for inside boarding, a large riding arena for jumps, and acres of fenced paddock area. Adjacent to the stable is a smaller training ring, perfect for private lessons. And riding trails are right next-door on privately owned land. Residents also enjoy a lushly landscaped entrance and a community pool with a covered outdoor gathering area and outdoor fireplace. Beautiful waterfront lot in The Plantation. Great views of big water on a wide cove. Build you lakefront dream home and love lake living at its best.